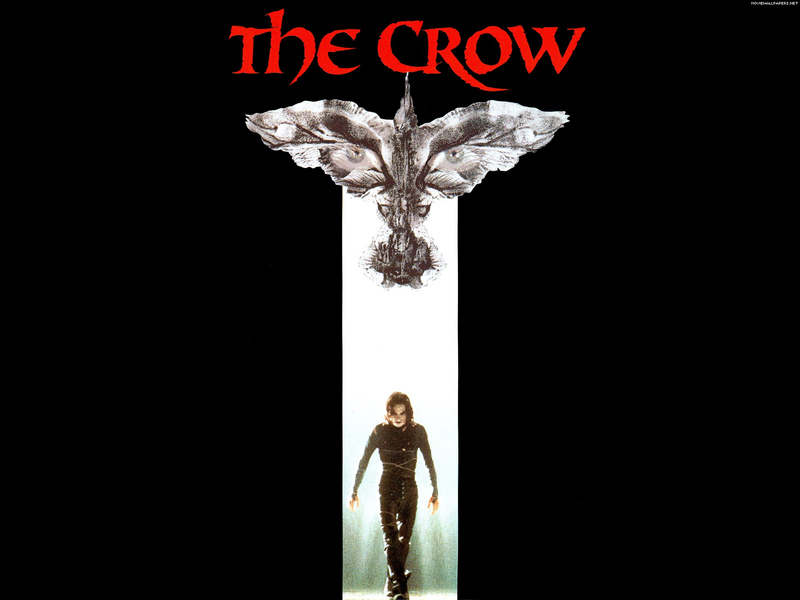 In My Humble Opinion: The original Crow with Brandon Lee is a great movie that needs to be left alone. I’ll be the first to admit that I’m not the most reliable person when it comes to taking a stance against remakes though. I think I allow my love of the original movie to cloud my judgment when it comes to it being remade. When I hear a movie is being remade, if I liked the original, generally my initial reaction is one of excitement. When I heard Total Recall was being redone I was giddy. When I heard Red Dawn was being updated I was excited. Of course, we all know how those movies turned out right? I honestly haven’t even watched these two remakes yet because the nostalgia and excitement I once had has dissipated. Don’t get me wrong, sometimes the remakes can be okay. The Karate Kid was a movie I loved as a kid and the remake with Jaden Smith and Jackie Chan is a decent movie that I can sit down with my son and enjoy (though I still think they should have just called it The Kung Fu Kid and had it be a stand alone movie) The Evil Dead is another one that seems to have worked out well and has gotten good reviews…so you can see why I’m always back and forth when it comes to remakes right? That being said, leave The Crow alone. The original 1994 version is a great movie that has stood the test of time. I can still watch the movie today and be impressed with it. Unfortunately, Hollywood wants to remake it…or reboot the franchise. That’s kind of funny, “reboot the franchise” considering all the sequels were garbage. Rumors are that Tom Hiddleston (Loki from Thor and The Avengers) has been tapped to play the lead role. I will admit, Tom Hiddleston would probably do a great job and seems like a good fit (No Sean…hold your ground, it doesn’t need to be remade) I’ve also heard that Alexander Skarsgard (True Blood) is in talks of filling the shoes once filled by Brandon Lee. Whether Hollywood moves forward or not, only time will tell. Personally, I’d like to see the idea of the remake abandoned. If for no other reason than to allow the legacy of Brandon Lee to remain. It almost seems disrespectful to remake the movie that the young, up and coming actor tragically died on while filming. In My Humble Opinion: The Iron Man franchise made The Avengers possible. I’m not a huge fanboy or anything like that, but do enjoy the movies. Iron Man was on the other day and it got me thinking that without the success of that movie, The Avengers would never have happened. Now Iron Man 3 is coming out this Friday and I for one am hyped to see it. What do you all think? Below is the plot summary, if you don’t like spoilers…stop reading now. if you do like spoilers make sure to follow me and the blog as I post spoilers from time to time…enjoy! In a flashback, Tony Stark recalls a New Years Eve party in 1999 with scientist Maya Hansen, inventor of Extremis, an experimental regenerative treatment intended to allow its users to recover from crippling injuries. They are approached by crippled scientist Aldrich Killian, who offers them a place in his company Advanced Idea Mechanics, but Stark arrogantly rebuffs him. In the present day, some time after The Avengers, Stark’s experiences during that film are causing him great anxiety, and he has built several Iron Man suits, creating friction with his girlfriend Pepper Potts. Global tensions also run high in the wake a string of bombings by terrorist the Mandarin, which have left intelligence agencies bewildered by their lack of forensic evidence. When Stark Industries security chief Happy Hogan is caught in one such attack, Stark overcomes his stupor and issues a televised threat to the Mandarin, who responds by destroying Tony’s home with helicopter gunships. Pepper and Maya, who had come to warn Tony, survive the attack. Tony then finds himself in rural Tennessee after his artificial intelligence JARVIS follows a flight plan from Tony’s investigation into the Mandarin. Tony’s experimental armor lacks sufficient power to return to California, and the world believes him dead. Teaming with Harley, a precocious 10-year-old boy, Tony investigates the remains of a local explosion bearing the hallmarks of a Mandarin attack. He discovers the “bombings” were triggered by soldiers who had been subjected to Maya’s Extremis virus, which in its still-imperfect state causes certain subjects to explosively reject it. After veterans started growing unstable and exploding, their deaths were used to cover up Extremis’ flaws by manufacturing a terrorist plot. Tony witnesses Extremis firsthand when Mandarin agents Ellen Brandt and Eric Savin attack him. With Harley’s help, Tony traces the Mandarin to Miami and infiltrates his headquarters using a variety of home-made weapons. Inside he discovers the Mandarin is actually a British actor named Trevor Slattery, who is oblivious to the acts the Mandarin has carried out. The Mandarin is a creation of Killian, who appropriated Maya’s Extremis research as a cure for his own disability and expanded the program to include injured war veterans. Killian reveals he is the true Mandarin and has kidnapped Pepper and subjected her to Extremis, intending to infuse her with superhuman abilities and turn her against Tony as leverage to gain Tony’s aid in fixing Extremis’s flaws. Killian has also manipulated American intelligence agencies regarding the Mandarin’s location, luring James Rhodes — the former War Machine, now rebranded as the Iron Patriot — into a trap to steal the armor. Tony escapes his captivity and reunites with James, discovering that Killian intends to attack President Ellis aboard Air Force One. Remotely controlling his Iron Man armor, Tony saves the surviving passengers and crew but cannot stop Killian from abducting Ellis. They trace Killian to an impounded oil drilling platform where Killian intends to kill Ellis on live television. The Vice President will become a puppet leader, following Killian’s orders in exchange for Extremis to cure a little girl’s disability. On the platform, Tony goes to save Pepper, and James saves the President. Tony summons each of his Iron Man suits, controlled remotely by JARVIS, to provide air support. James secures the President and leads him to safety, while Tony discovers Pepper has survived the Extremis procedure. However, before he can save her, a rig collapses around them and she falls to her apparent death. 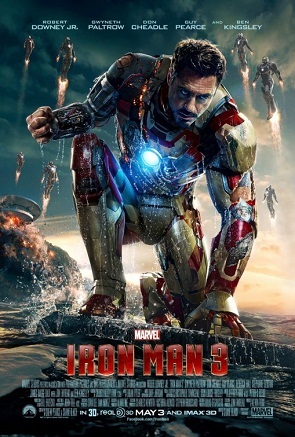 Tony is forced into confronting Killian and traps him in an Iron Man suit that self-destructs, but fails to kill him. Pepper, whose Extremis powers allowed her to survive her fall, intervenes and finishes Killian once and for all. After the battle, Tony orders JARVIS to destroy each Iron Man suit remotely, as a sign of his intention to devote more time to Pepper. The Vice President and Slattery are arrested. Pepper undergoes surgery to remove Extremis, and Tony to remove the shrapnel embedded near his heart. He pitches his obsolete chest arc reactor into the sea, musing he will always be Iron Man, even without his armor. In a post-credits scene, it is revealed that Stark has been recounting his experiences to Dr. Bruce Banner, who awakens, having fallen asleep at the beginning of Tony’s story. In My Humble Opinion: When Showtime made the official announcement that Season eight would in fact be the last season of Dexter, I felt like I just walked in on Rita in a blood-filled bath tub! 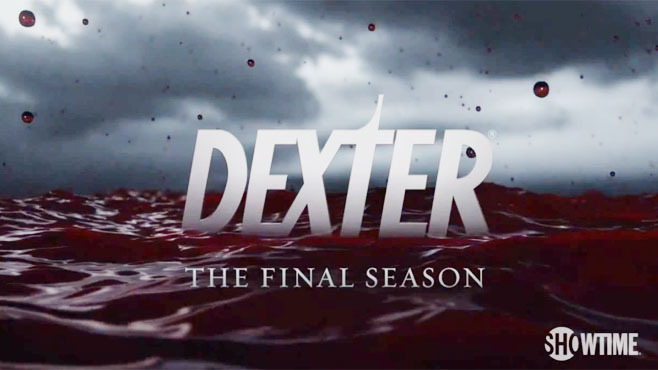 I had been hearing that Season eight was going to be the last season of the show that follows vigilante serial killer Dexter Morgan, but have been holding out hope that there were at least two more seasons left. Dexter has been one of my favorite shows of recent years and I’m sorry to see it go. It’s hard to believe that the show first began back in December 2006 and will return for the final season’s premier on Sunday June 30th on Showtime…where has the time gone? The show has remained dramatic and engaging through its first seven seasons and will undoubtedly finish as strongly as it began. It’s packed full of great performances by all its actors, specifically Jennifer Carpenter who portrays Debra Morgan, Dexter’s sister. Well she’s kind of his sister…Dexter was adopted by Harry Morgan who didn’t exactly go through the normal adoption process to get Dexter. It’s a long story and for those of you that watch the show know what I’m talking about and to those of you that don’t, I strongly suggest taking advantage of that Showtime On Demand feature and catching up! As I said, I’m sorry to see it go but am very excited to have some questions answered and see how the storyline will wrap up. SPOILER: Will Debra be able to live with herself after killing LaGuerta in last season’s finale? Will she be able to keep protecting her brother knowing he is a serial killer? How will the return of Hanna McKay play into the final season? Will any characters from Dexter’s past come back for cameo appearances (those who are still alive anyway)? Will Batista be the one that eventually uncovers Dexter and Debra’s dark secret? So many questions that need to be answered. If you’re a devoted Dexter fan as I am, you most likely share in my disappointment that the show is ending, but also hopefully share in my enthusiasm that the final season will answer all questions and… is premiering earlier than usual. I’ve posted a little teaser of Season 8, hopefully you enjoy! 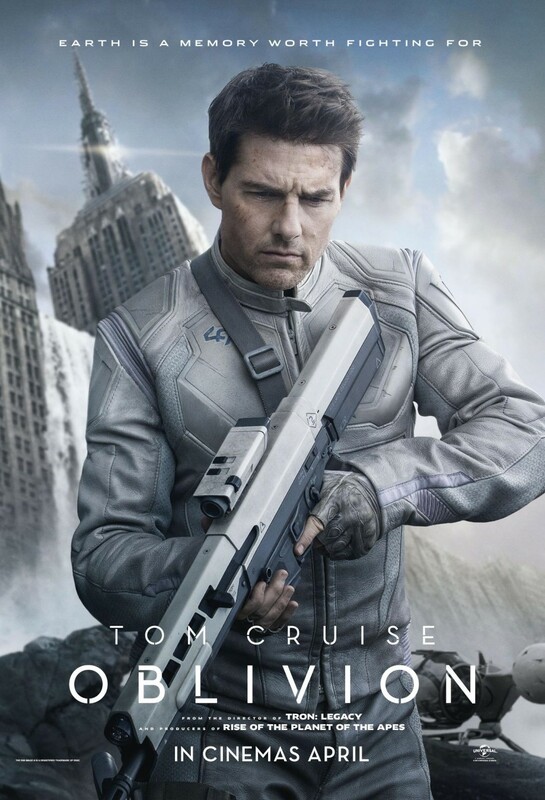 In My Humble Opinion: When I first saw previews for Tom Cruise’s new movie Oblivion I thought it looked like WALL-E the live action version. That being said, I’ll still probably check it out…eventually. 2077: Following an invasion by alien Scavengers (Scavs) sixty years earlier which destroyed the Moon and nearly destroyed the Earth, Jack Harper (Tom Cruise) is Tech 49, one of the last few humans stationed on earth. He lives thousands of feet above the Earth where he and his communications officer and lover Victoria (Andrea Riseborough) are part of an operation to extract planet’s remaining resources, especially water. Jack and Victoria maintain contact with civilization via a video link with their commander, Sally (Melissa Leo), and are due to join the rest of humanity on Titan in two weeks. Jack suffers from recurring dreams and flashbacks of New York before the invasion and an unknown woman. Assisting Jack in his work are weaponized ‘drones’, airborne machines that scour the landscape to destroy the remaining alien resistance. As Jack nears the end of his mission, a spaceship crashes on the surface, brought down by a Scav homing beacon mounted on the top of the Empire State Building. The ship is carrying a number of sleeping capsules containing human beings in hibernation. Jack rescues a woman, Julia (Olga Kurylenko), from the wreckage, but is unable to save the other passengers. He immediately recognizes Julia as the woman in his flashbacks. Shortly afterwards, Jack and Julia are captured by Scavs, who are revealed to be humans living in an underground stronghold. Their leader, Malcolm Beech (Morgan Freeman), who was a young soldier when the invasion occurred, claims there are no aliens on the planet and demands that Jack reprogram a captured drone to destroy ‘the Tet’, the space station where Sally is based. Jack refuses, and Beech allows Jack and Julia to leave, advising Jack that he will find answers to his questions in the supposedly dangerous ‘high-radiation zones’. Jack and Julia climb the ruins of the Empire State Building, where Julia reveals herself to be Jack’s wife. Despite his initial shock at this revelation, it allows Jack to reconcile his flashbacks, knowing it to be the truth. She tells him that the ship in which she crash-landed was a NASA shuttle. Returning to the tower, Victoria refuses to let Jack enter and informs Sally that due to Julia they are no longer an effective team. Sally remotely activates a drone, which kills Victoria, and orders Jack to bring Julia to the Tet, but they flee. Pursued by drones, Jack and Julia travel into the radiation zone, where they crash and Jack is stunned to come face to face with Tech 52, a clone of himself. Jack and the clone engage in combat that ends with Jack choking the clone unconscious, as well as injuring Julia. Jack uses the clone’s ship to discover a replica of his work tower with a clone of Victoria. Jack returns to Beech, who reveals that Jack is only one of thousands of clones of the original Commander Jack Harper, who was a top astronaut in 2017. These clones were used by the Tet to conquer Earth. The resistance is the planet’s last remaining human outpost and Jack and Victoria’s superiors are the real aliens, draining the Earth of its vital resources. The drones are programmed to attack humans, not aliens. Jack helps to reprogram the stolen drone. Three drones pick up Jack’s DNA trail and attack the Scav base. The resistance suffers many casualties, including Beech who is mortally wounded. The captured drone is destroyed, however its nuclear fuel cell remains intact. With no other choice, Jack volunteers to fly the nuclear device to the station himself, delivering the ‘hibernating’ Julia as an explanation for his presence. Jack places her back into her sleeping capsule and sets off to the space station, telling Sally that he is bringing the survivor. During the flight Jack listens to the flight recorder recovered from Julia’s crashed shuttle and, in a series of flashbacks, it is revealed what happened. Back in 2017, with Victoria as his co-pilot and his wife on board in hibernation, his original self navigated his NASA ship to investigate the Tet. While realizing the alien ship tried capturing them and unable to flee, fearing the worst, Jack released the shuttle containing the sleeping capsules before his spacecraft was captured. The shuttle remained in orbit around the Earth for 60 years until drawn in by the homing beacon. Jack enters and confronts ‘Sally’, who is revealed to be a monolithic, amorphous and self-created being. Sally is disappointed when Jack opens the sleeping capsule, revealing Beech instead of Julia. Julia, unbeknownst to her, was delivered to Jack’s forest retreat on Earth, where he kept mementos such as books and vinyl records. With Sally growing hostile, Jack recites stanza XXVII of “Horatius”, and proceeds to trigger the nuclear device, destroying the Tet (along with himself and Beech). By doing so, the remaining drones on Earth are destroyed. Three years later, Julia is living a peaceful life on a recovering Earth, and has given birth to a daughter. From the surrounding forest, members of the former resistance appear. As Julia recognized them, ‘Jack’, Tech 52, is revealed to be with them and the couple gaze at each other. 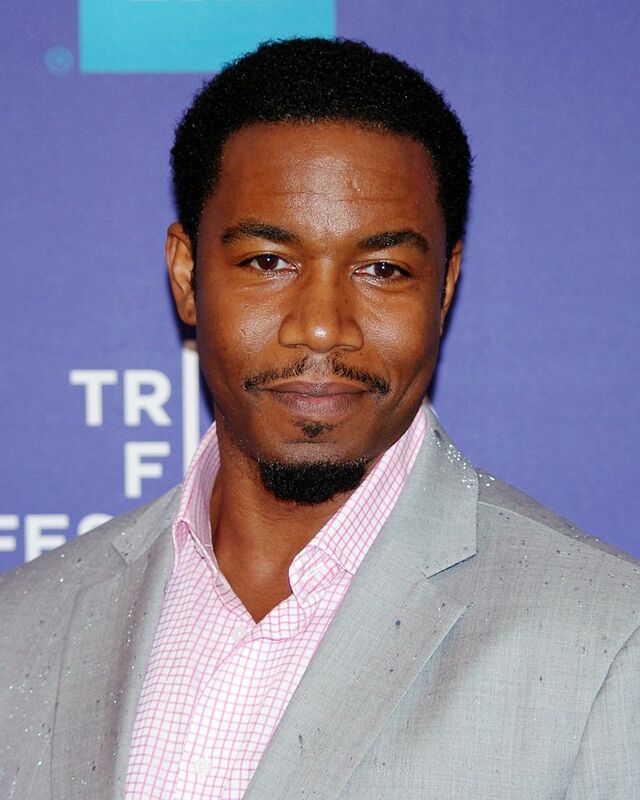 Who Should Play Black Panther In The Avengers 2? In My Humble Opinion: Michael Jai White and Djimon Hounsou are two perfect candidates to portray Black Panther in the upcoming Avengers 2. Rumors have been circulating that Black Panther will make his appearance in Avengers 2, hell it might have been confirmed already I don’t know. Rumors have run rampant; I’ve heard that Morris Chestnut teased that he was in talks to play Black Panther, but from further reading that ain’t happening. I also heard that there was an Academy Award winner interested in the role. The only actor that I can think of that fits that bill would be Cuba Gooding Jr. which would also be a huge mistake! 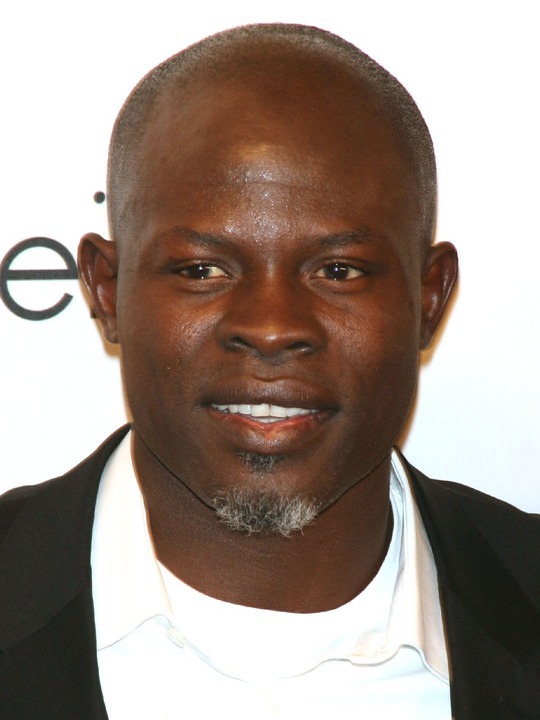 The first name that popped in my head was Michael Jai White, but after reading some comments from other Avenger fans, Djimon Hounsou really does make sense as well…possibly more so than White. Guess we’ll all just have to wait and see. If you’re like me and don’t know too much about Black Panther, other than what you’ve seen on the Avengers cartoon show (my son and I watch…it’s pretty good actually) I’ve included a little biography for you. The Black Panther (T’Challa) is a fictional character appearing in publications by Marvel Comics. Created by writer-editor Stan Lee and penciller-co-plotter Jack Kirby, he first appeared in Fantastic Four #52 (July 1966). He is the first black superhero in mainstream American comics, debuting several years before such early African-American superheroes as Marvel Comics’ the Falcon and Luke Cage, and DC Comics‘ Tyroc, Black Lightning and Green Lantern John Stewart. 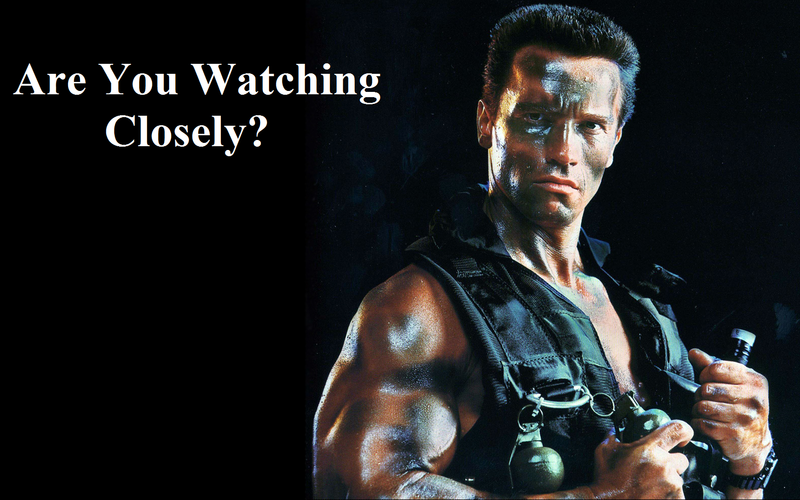 An exciting installment all about 80’s action movies…ENJOY!